Beijing has three state-level development zones, namely Zhongguancun Science Park (ZSP), Beijing Economic and Technology Development Area (BDA) and Beijing Tianzhou Export Processing Zone. In addition, there are sixteen municipal-level development zones distributed across its 16 districts and counties. Dubbed "China's Silicon Valley," Zhongguancun Science Park (ZSP) is the country's first state-level high-tech development zone launched in 1988. The tech- intelligence-intensive park, covering more than 232 square kilometers, has been developed into a high-end industrial and functional area clustering nearly 20,000 high-tech corporations. It was home to 1,744 foreign-invested companies by the end of 2011, including nearly 200 branches and R&D institutions of the world's top 500. ZSP gives priority to the development of a wide range of industries, including electronics and IT, biomedicine, environmental protection, new materials, new energy, aerospace and equipment manufacturing. It consists of the following sub-parks: Haidian Park, Fengtai Park, Changping Park, Electronics Town, Yizhuang Park, Desheng Park, Yonghe Park, Shijingshan Park, Tongzhou Park and Daxing Biomedicine Industrial Base. ZSP's venture capital cases and investments account for about one third of the national total annually, respectively. So far, a total of 224 companies located in ZSP, including 145 domestic and 79 overseas corporations, have gone public. In 2011, its general revenue reached 1.96 trillion yuan (US$311 billion), accounting for about one seventh of the total amount of all high-tech development zones in China, a 23.2 percent increase over 2010. It raked in 306.3 billion yuan (US$48.6 billion) in value added, which accounted for 19.1 percent of the capital's GDP. Located in Yizhuang of southeast Beijing, the Beijing Economic and Technological Development Area (BDA) is Beijing's only state-level economic development zone inaugurated in 1992. The BDA, with a planned area of 46.8 square kilometers, consists of an industrial area, a business area and a residential area. 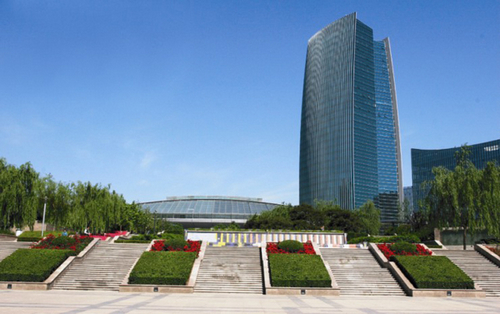 The BDA, which hosts the Yizhuang Park of the Zhongguancun Science Park (ZSP), enjoys preferential policies provided by the State Council for both the state-level economic development zones and state-level high-tech industrial zones. In 2010, it was combined with Beijing's Daxing District to create a new district covering a land area of 1,052 square kilometers. The BDA concentrates on the following industries: electronics and IT, equipment manufacturing, biopharmaceuticals, auto and transport equipment, as well as new energy, new materials, cultural and creative industries, and supporting services. Up to now, more than 4,600 corporations from over 30 countries and regions have investments in the BDA, including 111 projects funded by 79 of the world's 500, such as Nokia, Mercedes-Benz and GE. By the end of 2011, the BDA had attracted a total amount of US$32 billion in investment, with US$17.5 billion from 582 overseas companies, including those from Hong Kong, Macao and Taiwan. Actual foreign investment amounted to US$4.9 billion. 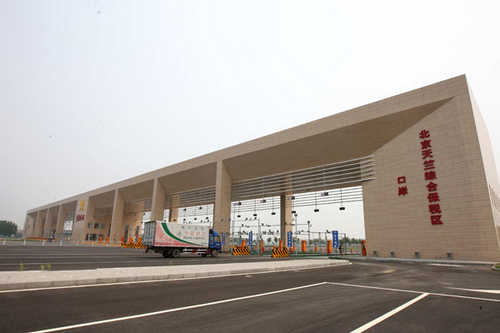 Founded in 2000, the Beijing Tianzhu Export Processing Zone (BEPZ) is now part of the Beijing Tianzhu Free Trade Zone. It's located north of the Area A, Beijing Tianzhu Airport Economic Development Zone, one kilometer west of Beijing Capital International Airport, in Tianzhu Town, Shunyi District. Since 2006, the BEPZ has turned itself from a single processing zone into a comprehensive economic zone integrating export-oriented processing, bonded production, bonded logistics, detection, maintenance and R&D. The zone offers various preferential policies, such as tax exemption and tax refunds, in addition to complete supporting facilities, the fastest possible customs clearance and the best management. BEPZ encourages industries including electronics and IT, biopharmaceuticals, optical-mechanical-electronics integration, new materials and other high-tech projects. More than 40 companies from various countries and regions, including the U.S., Canada, France, the UK and Japan, have set up shop in the area. 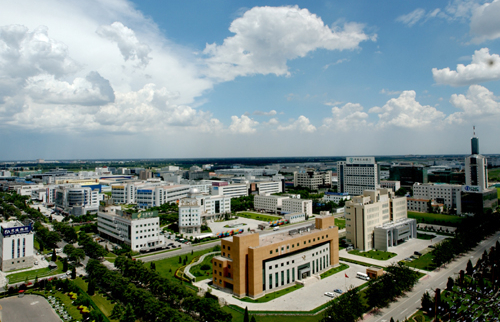 In 2011, the Beijing Tianzhu Free Trade Zone's total import and export amounted to US$69.4 billion, and the number of companies which have a presence there rose up to 126, including Japan-headquartered SMC which invested US$200 million to develop its largest export processing base for pneumatic components in China.